November | 2009 | YesBiscuit! Vick will play his first game in Atlanta since 2006 when the Philadelphia Eagles visit Sunday. Vick smiled when asked about the kind of reaction he expected from Falcons fans. “I’m going to get a great reaction from the crowd. It’s going to be a standing ovation,” he said, smiling. Vick, let me be the first to offer you a standing FU. This was sort of a leftovers extravaganza: I baked about 8 small potatoes and scooped out the flesh when cool. (Skins got tossed into the dogs’ dinner bowls.) I beat in about 2/3 of a medium carton of sour cream, a couple eggs, 6 or so tablespoons olive oil, and added some milk to thin it out. Then I sprinkled in some dill and added enough wheat flour to make a dough (maybe 6 cups). Roll dough on to greased cookie sheet, bake at 325 degrees F for about 45 minutes and cut into squares. In the early 20th century, Chappel Brothers of Rockford, Ill., supplied canned horse meat to the hungry citizens of France, Holland and Italy — and exported the scraps back to the United States as dog food. 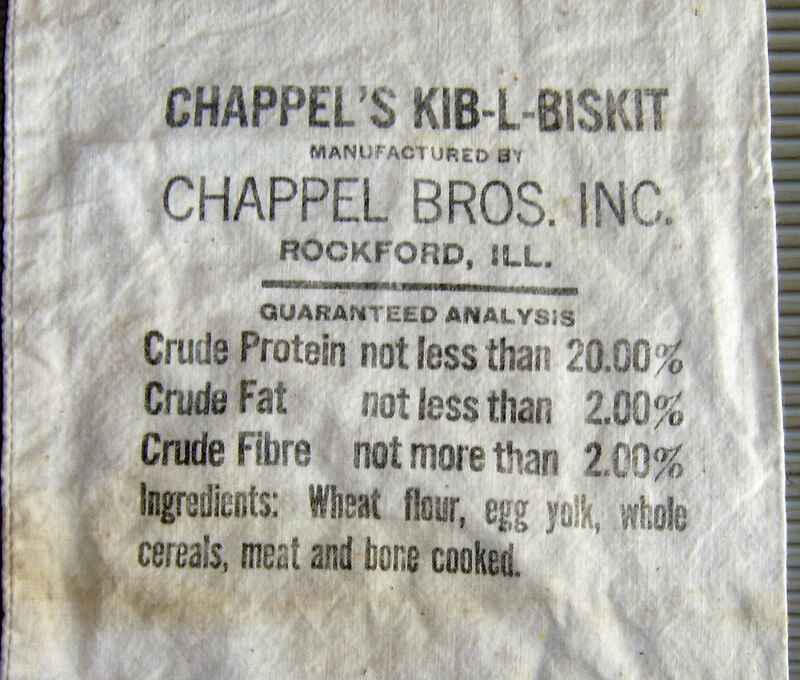 Chappel Brothers marketed Ken-L Ration and at its apex slaughtered more than 50,000 horses a year. 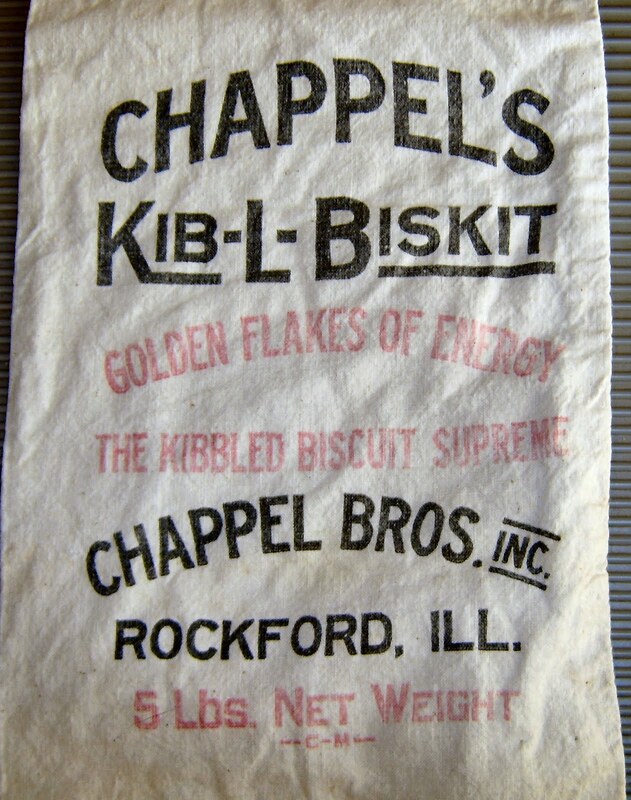 For the PetFoodiCurious, more tidbits on Chappel Bros (and general history of dog food) can be found here, here and here. Before we eat, I thought we could go around the table and each say something we are thankful for (I saw this on Dexter). I’ll start. Jennifer Mann said at first she didn’t see anything wrong with Sadie, a chocolate lab, when she found her Thursday. “When I got up to her, her whole left side was completely ripped back like a deer carcass. It was terrible,” she said. Mann recognized the dog and went to her owner, but the owner said he didn’t want to help the injured lab. So Jennifer took Sadie to veterinarian Dr. Sharon King. 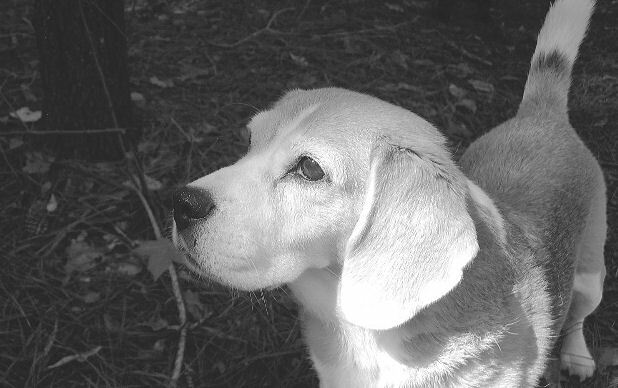 The “Saving Sadie Fund” has been created at MidCarolina Bank locations in Greensboro, Graham and Mebane. For more information, you can contact Theresa Vernon at 336-538-1600. There is video of Sadie at the vet clinic at the link. 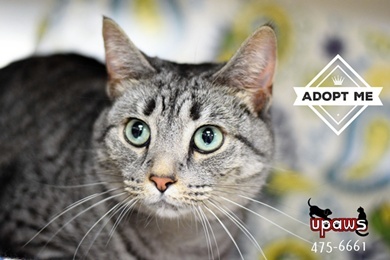 While the effort has already resulted in a noticeable decrease in the number of cats at the shelter, she [the shelter director] predicted the problem will really start coming under control within the next five years. 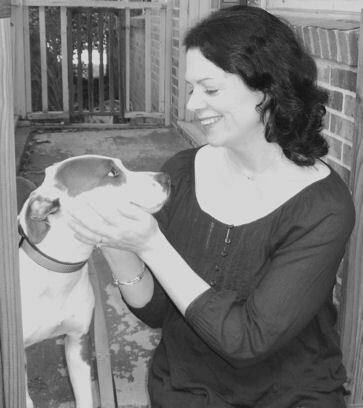 Veterinarian Mary Ann Sheller, who was replaced on the shelter board as part of last year’s change in operations, disagreed with the rosy assessment, saying she continues to hear about animals being turned away or dumped because the shelter is full. “In essence, what they have done is exchange a rational euthanasia policy for a warehouse policy,” Sheller said. Police said their investigation showed Green was holding her granddaughter near the cage that held Sammy, a monkey kept in the home as a pet. The baby started crying. Green then noticed the monkey had reached outside of its cage and grabbed the hood of the coat Brenna was wearing. Police said the monkey began pulling on the hood, causing the baby’s head to repeatedly strike the metal cage. The monkey let go of the hood but started pulling the infant’s hair, police said. The baby was checked out at a hospital in IN and released. Luckily, there were no serious injuries… this time. Wisconsin State law provides that the greyhounds are to be adopted to new homes, sent to another racetrack for racing purposes or returned to their owners. Our kennel compound will remain open until all greyhounds are properly placed. If you are interested in adopting a racing Greyhound, visit the website for more information. We’ve got weevils. (Don’t worry, that’s not what’s for the dog dinner.) They can apparently get into most anything and I don’t know how we’re going to get rid of them. For starters, I’m trying to cook everything in the cupboard to diminish their food supply. Unfortunately this also diminishes our food supply so I’m not sure what the end game here is exactly. 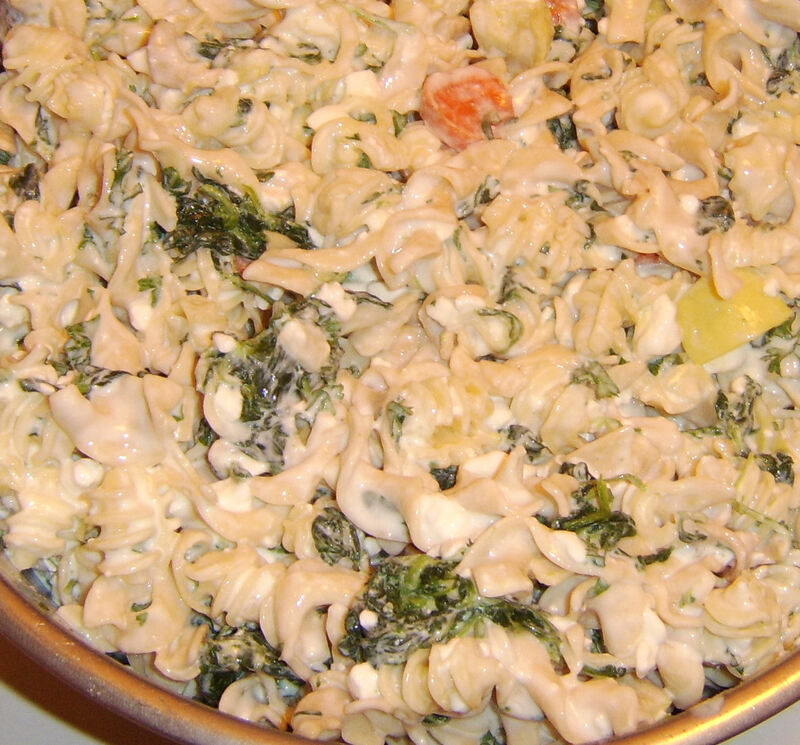 At any rate, I boiled up every kind of pasta we had in the cupboards. (Note: Weevils float to the top of the pan as soon as you dump the pasta in so you can skim them out if you don’t want the added protein.) I then cooked up some spinach, carrots and yellow squash and stirred them in. Minced parsley, yogurt and cottage cheese were added and I topped each dog’s bowl off with a couple hunks of mozzarella. Add calcium and oil (I used fish oil caps for this meal) and serve. Another “Uga” – the University of GA Bulldog mascot – has died. He was 4 years old. AVMA has a page for news on H1N1. Some cats and ferrets have contracted the virus and one cat has died. Woman in Scotland stabbed her dog because he was barking, had her pets taken from her as a result, and now has gotten them back. She was reportedly “under a lot of stress”. For those wanting to know more about Pets Alive, the sanctuary that offered to take Oreo, they have a nice slideshow.